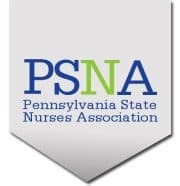 The Pennsylvania State Nurses Association (PSNA), the professional organization representing Pennsylvania’s 209,000 registered nurses, has engaged legislators and hospital administrators in the process of negotiating and passing the patient-focused Safe Staffing Law in the State Legislature. The proposed law puts professional staff nurses in charge of developing and maintaining staffing plans that prevent errors attributed to fatigue and inadequate staffing levels. This commonsense, simple solution recognizes nurses’ shared commitment to a higher standard of patient care. For many months, PSNA along with the Hospital & Healthsystem Association of Pennsylvania (HAP) and key policy leaders, engaged in productive, good faith negotiations on a bill we recognize as an essential corrective to unsafe staffing levels. Participants offered special insight ranging from the demands on nurses in a hospital unit to the administration’s important role in providing the best possible environment for all patients and health professionals. Because of tremendous support from patients and their elected representatives in Harrisburg, the Safe Staffing Law is on its way for swift passage. Recently, HAP’s lobbying team has attempted to introduce language gutting an essential patient protection element from the bill. HAP’s lobbyists have proposed language making a staff nurse part of a larger team of “advisors.” Instead of trusting registered nurses with the responsibility of setting unit levels, a broken system remains largely intact. In other words, nurses would have no actual say in preventing overworked, fatigued nurses from accepting unsafe unit staffing levels. Pennsylvania’s nurses rarely ask the public to engage on issues impacting our profession, but the passage of an unacceptable version of the Safe Staffing Law has implications on patients far beyond our own work preferences. For more information, visit www.panurses.org.